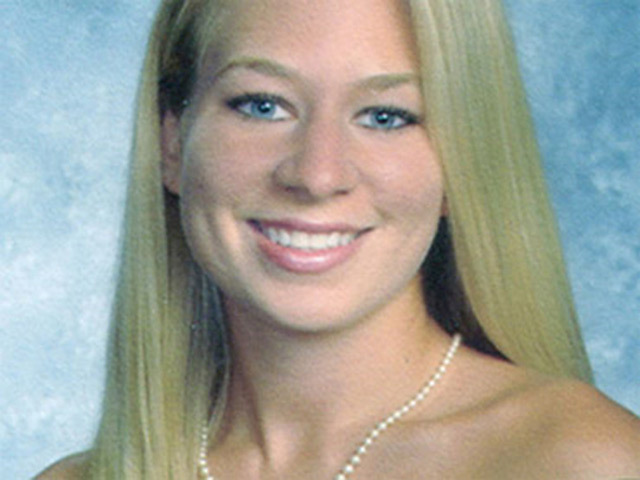 NORTH PORT, Fla. - In the series "The Disappearance of Natalee Holloway," John Christopher Ludwick made headlines when he claimed he helped Joran van der Sloot dispose of the missing teen's body. Ludwick, 32, of Port Charlotte, Florida, was stabbed to death Tuesday as he tried to kidnap a woman from her vehicle, North Port police said. Ludwick was roommates with the woman at one point and wanted a romantic relationship with her, but she didn't want one with him, North Port police spokesperson Joshua Taylor said. "He essentially ambushed her getting out of her car, going into her home," Taylor said. "He then fled the area on foot," police said in a statement. "He was found nearby suffering from the stab wounds. After being transported by air, he was pronounced dead at a local hospital." The woman won't be criminally charged, Taylor said. "From every ounce of evidence we have so far, she was a victim in this case," he said. "We have nothing to say otherwise right now." Ludwick appeared on the Oxygen show, which followed Holloway's father and a private investigator as they chased a lead in the case, in which he claimed van der Sloot paid him $1,500 to dig up Holloway's remains and cremate them.